After three years of hard work, Imba a.k.a Nikola Petrovic from Nis, Serbia is unleashing “First Encounter”, an album packed with full power goa trance for celestial beings. This may be a debut album but Imba is not a newcomer: he’s been producing goa trance under his own project and as part of Space Elves for 7 years. And he’s been performing throughout Europe and beyond for several years too. 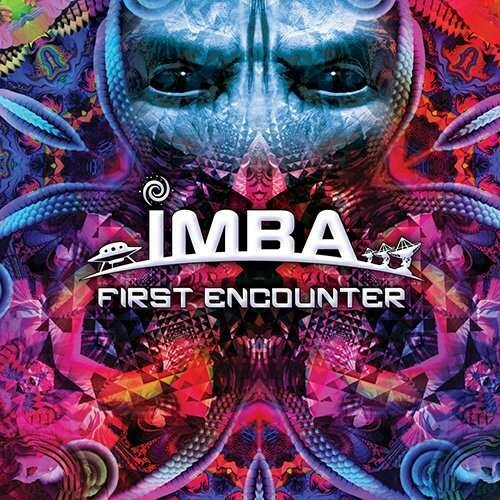 With “First Encounter”, Imba experimented a lot to achieve a crossover from Goa Trance to modern Psytrance styles. Standing on top of a solid melodic base, you will hear some elements from Progressive, Fullon, Forest... there is offbeat, there is gallop, there is slide bass, there are breakbeats and lofis to give the listener the most diverse melodic sound experience! “First Encounter”’ listeners will experience atmospheres ranging from night time and acidic to morning and euphoric, even epic. Contrary to many artists trying to recreate Goa from 20 years ago Imba has headed towards modern fat in-yer-face production with endless layers of deep psychedelia meeting old school spirit! Now, get ready for Imba’s groove and let’s dance! Like usual, this album is crystal-clear mastered by Tim Schuldt!